In Colorado last May there was an average of two inches of precipitation in the entire month of May. That means, to have a healthy lawn, homeowners need to add an additional water source, and even with these water sources, your lawn might need more help. This is where seeding and fertilizing come in. Here are a few reasons why you should add seeding and fertilizing to your lawn care routine. Seeding is the process of spreading grass seeds on top of your existing grass. Why Do I Need to Seed My Yard? Due to Colorado’s harsh winters, your yard might have brown patches where a section of snow stayed all winter, or your dog was using the bathroom. Since grass in Colorado is cool-weather grass, seeding in the springtime will make your yard lush and green. If these bare patchy areas don’t bother you now, think about the long term. Cool-weather grasses have a hard time absorbing seeds in the summer versus in the spring and fall. This means, your yard will be crunchy and dry for most of the warmer months. Seeding disperses small grass seeds throughout your yard to fill patchy dead areas. If your yard doesn’t have dead patches, seeding will make your yard full and plush, so it won’t be painful to walk on without shoes and will eliminate bug and weed appearances. Although eliminating bugs and weeds doesn’t seem like much, these two pests can attribute to allergies and bites. Fertilizing is the act of directly placing nutrients in the ground to have the grass and plants absorb to be healthy. Why Do I Need to Fertilize My Yard? When you buy flowers at the flower shop they come with this little bag of “flower food,” which should extend the life of the flowers. Since grass is a plant (similar to flowers), it is important that they receive their food to stay healthy too. Although your grass might not look like it, not all soil has all the proper nutrients to sustain thick grass bundles. One area of your yard might have the proper nutrients for thick grass, but another area could be lacking the nitrogen or potassium it needs to be healthy. Fertilizing spreads nutrients over a large area and soaks into the soil to make your entire yard thick vs. one area. Fertilizer is a combination of nutrients that soak into the soil and making your grass healthy. 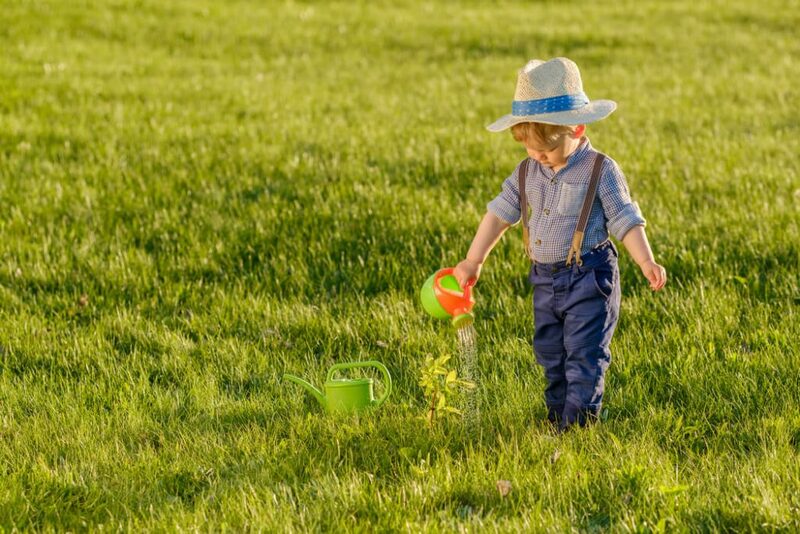 Essentially, fertilizer is grass food, and there are various types of fertilizer because depending on what stage your yard is at, depends on what type of fertilizer to apply. These different types of fertilizer have different nutrients in them that your grass needs. For example, if your yard is experiencing pests, weeds, or fungus, you can apply fertilizer to increase your grass’ health and eliminate unwanted lawn tenants that create health problems and other concerns. This is just the very beginning of why you should seed and fertilize your yard. Complex science goes into seeding and fertilizing, so if you’re interested in learning more contact one of our experts, we’d be happy to go over the genetic makeup of seeding and fertilizing with you. If you’re still confused about the importance of seeding and fertilizing contact our experts now.